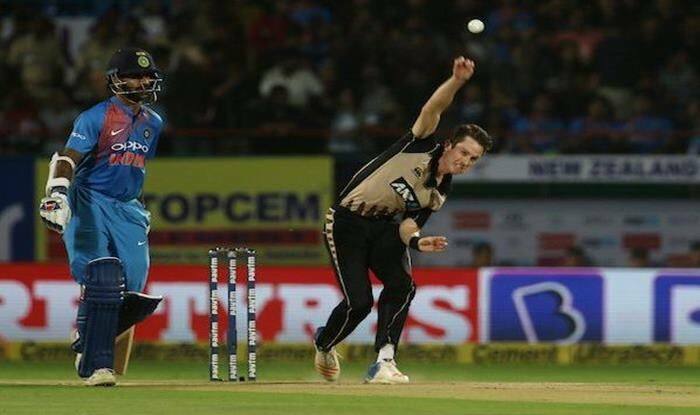 Indian T20 League's Mumbai franchise have been dealt with a set back in their pace attack as Kiwi recruit Adam Milne pulled out of the campaign, following Lasith Malinga's unavailability for at least up to six games of the season. Indian T20 League’s Mumbai franchise have suffered a major blow ahead of their opener against the Delhi franchise on Sunday. The pace attack of Mumbai has seen a setback after Kiwi recruit Adam Milne pulled out of the campaign, following Lasith Malinga’s unavailability for at least up to six games of the season, which will commence from March 23rd. The Mumbai side will aim to make amends after failing to make it to the play-offs in the previous campaign. Despite their concerns with the pace attack, the three-time champs will now look to start the new season on a high. According to a report which originally published at ESPN Cricinfo, Milne has decided to give the IPL a miss due to a swollen heel. The New Zealand right-arm skipper joined Mumbai with a hefty price tag of 75 lakhs. Previously, Milne had represented the Bangalore franchise in the T20 league, where he failed to make a mark having played just five matches. Malinga, who recently revealed that he will retire from international cricket after the T20 World Cup in 2020, will miss the first few matches because he will participate Sri Lanka’s Super Provincial One-Day domestic tournament which will take place from April 4 to 11.